Review: A true story based on the early years of legendary Director and aviator Howard Hughes’ starting in the late 1920’s to the middle of the 1940’s. 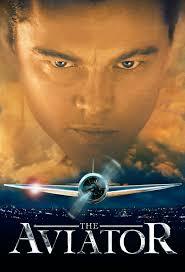 Leonardo DiCaprio as always gives a fantastic performance portraying Howard Hughes. His character comes across as really convincing. Cate Blanchett is a treat to watch. For her to prepare for this role she learnt to play tennis and golf. For Leonardo to prepare for his role as Howard Hughes he spent some time with an O.C.D. patient named Edward who advised him on several different aspects of the condition. The house that they used in the film for Howard Hughes is actually the real house that he used to live in on Muirland Drive, Los Angeles. It is believed that Gwyneth Paltrow was originally signed on to play the part of Ava Gardner, but dropped out. A brilliant well made film from director Martin Scorsese. All the CGI is convincing and very believable. The film is 166 mins but the time just flies by. At the Academy Awards in 2005 this won five Oscars. They were for Best Performance by an Actress in a Supporting Role (Cate Blanchett), Best Achievement in Cinematography, Best Achievement in Film Editing, Best Achievement in Art Direction and also Best Achievement in Costume Design. At the Golden Globe Awards in 2005 this won 3 awards. They were for Best Performance by an Actor in a Motion Picture – Drama (Leonardo DiCaprio), Best Original Score – Motion Picture and also Best Motion Picture – Drama. At the Bafta Awards also in 2005 this won four awards. They were for Best Film, Best Performance by an Actress in a Supporting Role (Cate Blanchett), Best Production Design and Best Make Up/Hair.